The Magic unintentionally revealed a list of off-season targets earlier today when a picture from what looks to be an Orlando Magic executive office was leaked. 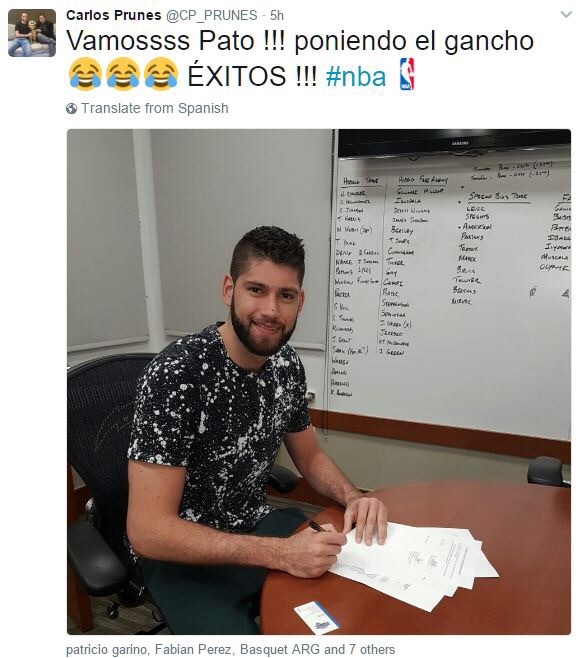 This picture was tweeted out by the agent of newest Magic signee, Patrick Garino. But Garino isn’t the eye catching object in the picture. Look past him to the whiteboard. On the board looks to be off-season targets separated into player type categories. On that list includes for Pistons. In the “Hybrid Trade” section Stanley Johnson, Marcus Morris, and Tobias Harris all find themselves on the Magic’s potential target list. Jon Leuer is also featured on the board in the “Stretch Bigs Trade” column. The Magic having a board like this is far from surprising but unfortunately for them now everyone knows exactly who they have interest in acquiring.